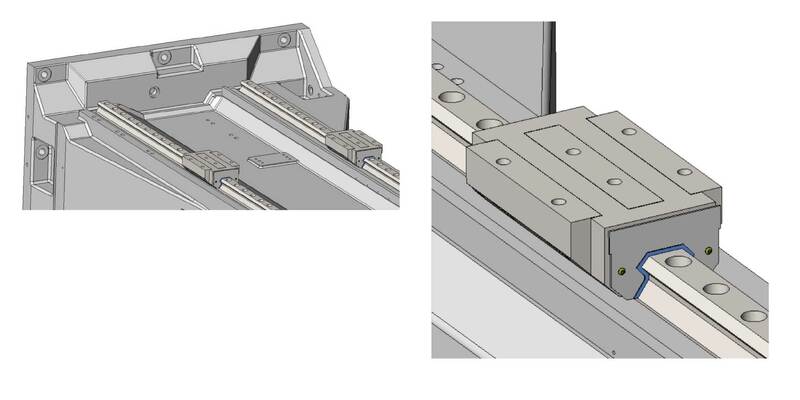 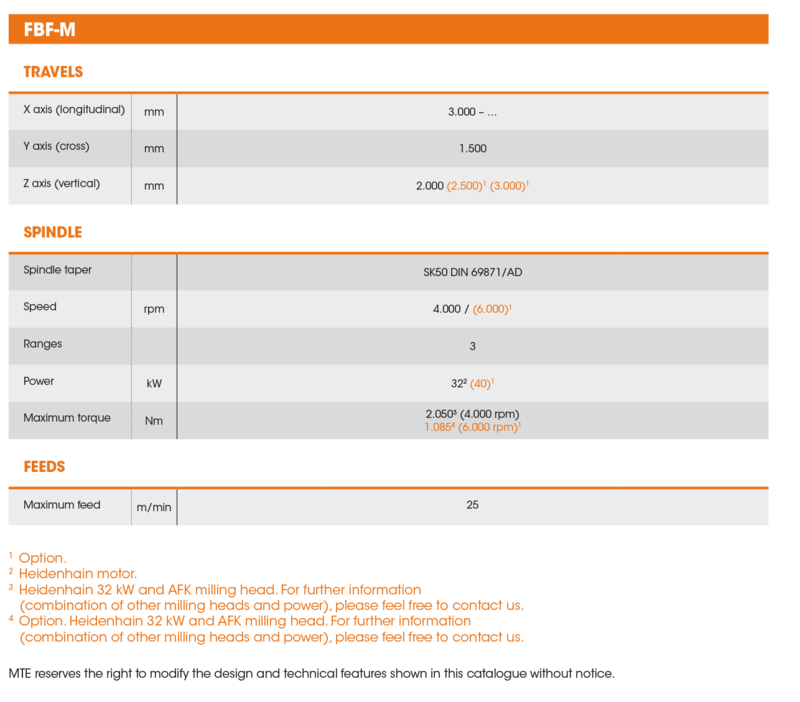 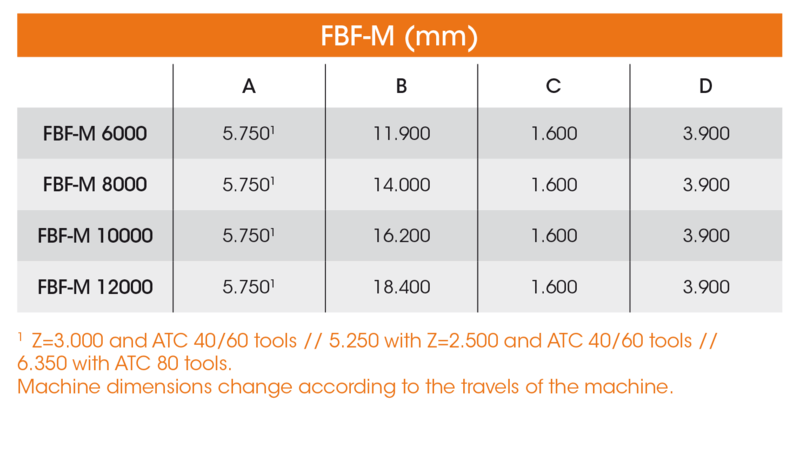 THE FBF-M SERIES WITH ITS EXTREMELY STABLE DESIGN IS PREDOMINANTLY USED FOR MECHANICAL ENGINEERING APPLICATIONS. 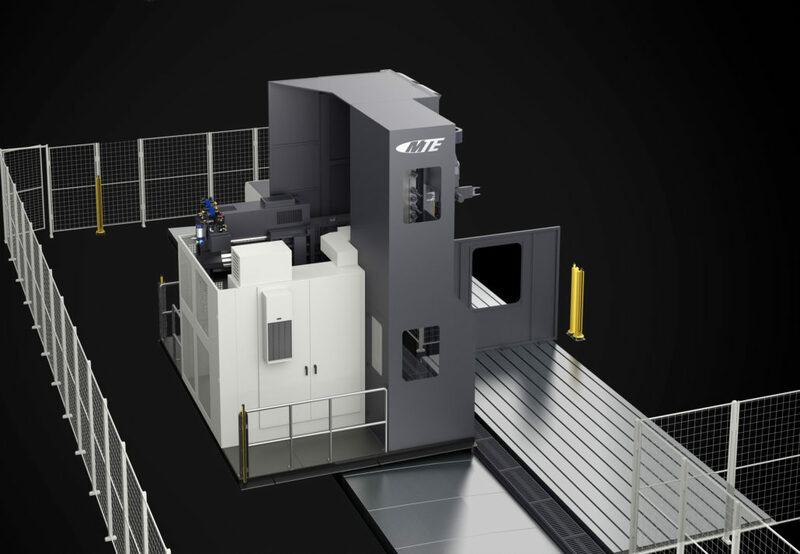 The series has fully automatic head changing systems with up to 4 different milling heads, rotary and traveling tables and tool changers, as well as optional shuttle machining, offering practical and maximum flexibility in the high-precision processing of extremely complex workpieces. 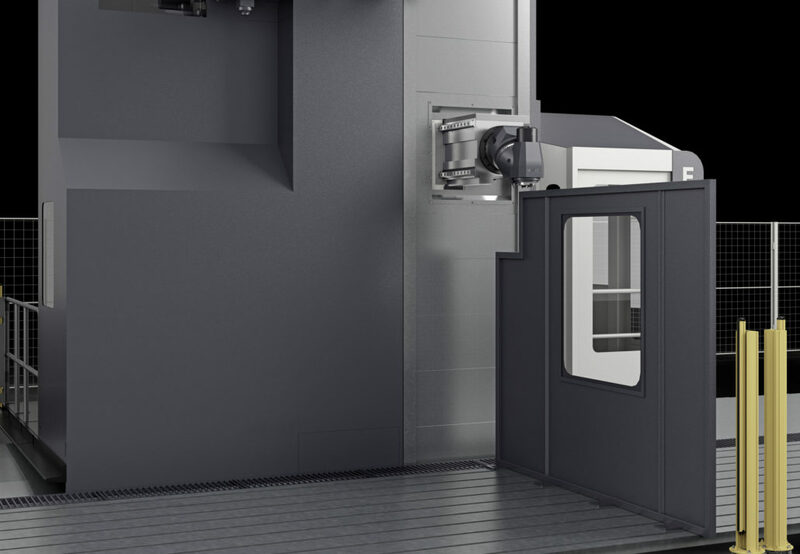 They are used also for the processing of medium-sized and heavy workpieces with a vertical travel of up to 3,000 mm. 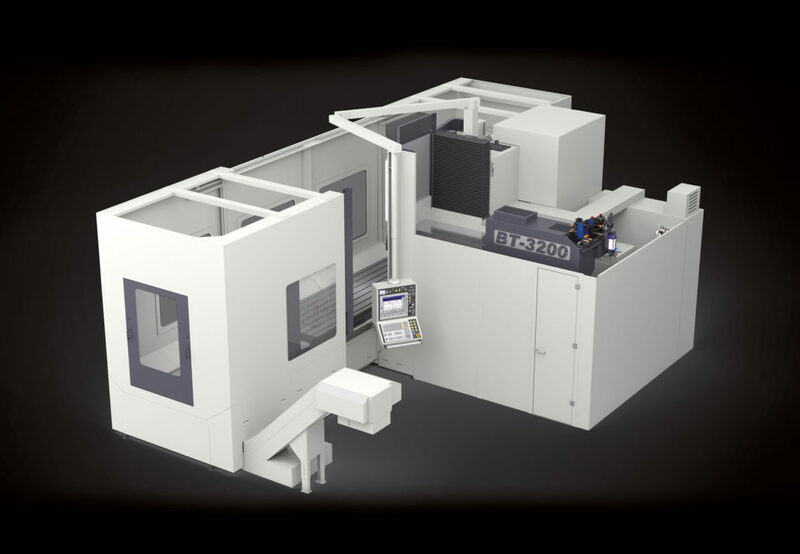 In some cases the machine is even used to process complex large tool moulds in high strength-to-density ratio materials. 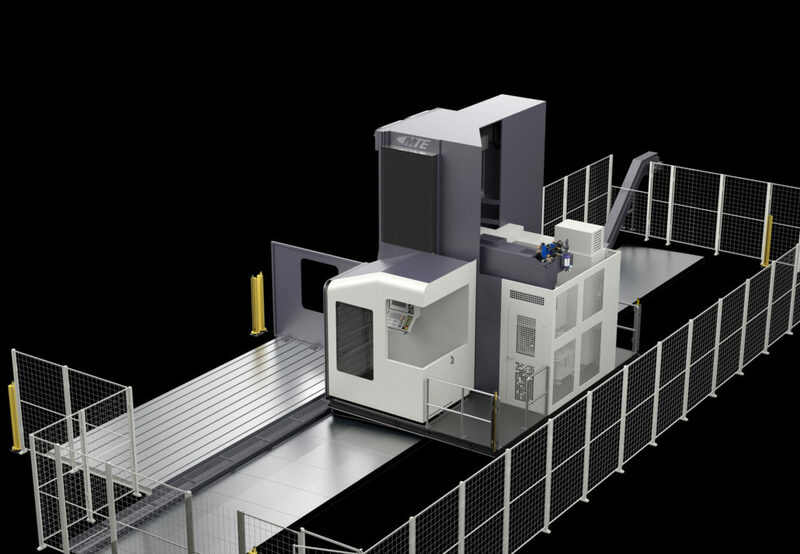 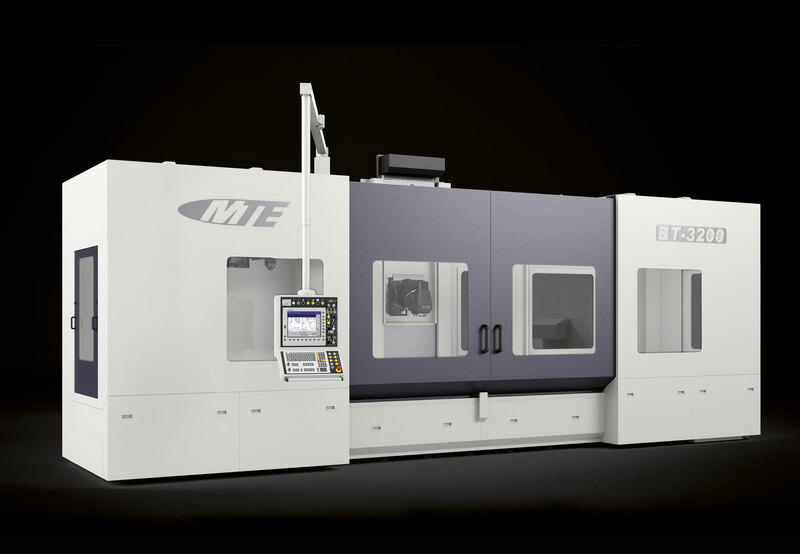 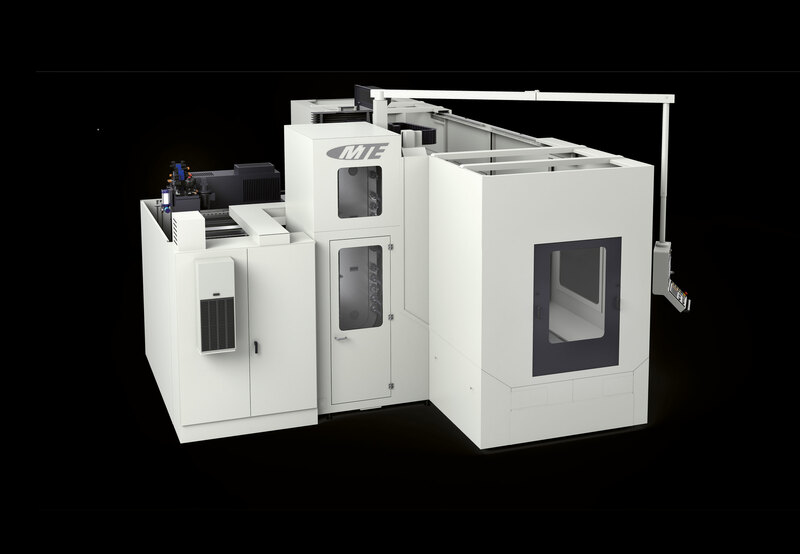 STANDARD EQUIPMENT FOR FBF-M MODEL FLOOR TYPE MILLING MACHINES. 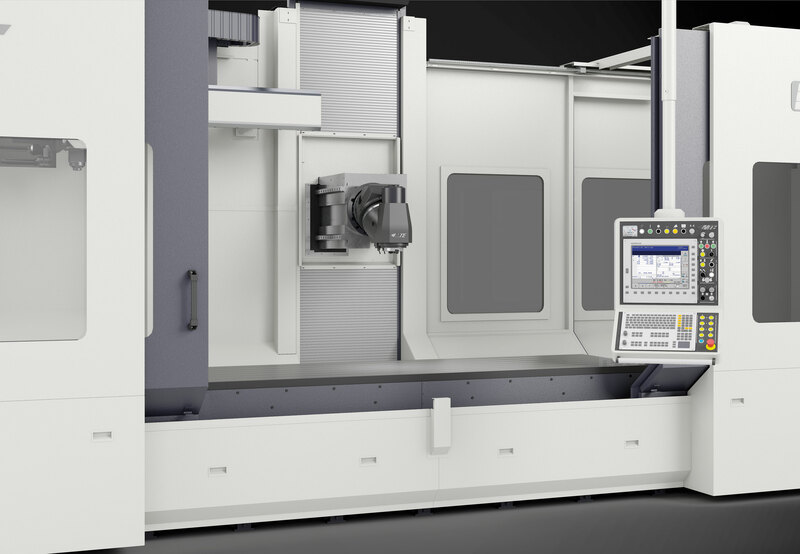 Number of tools: 40, 60, 80.